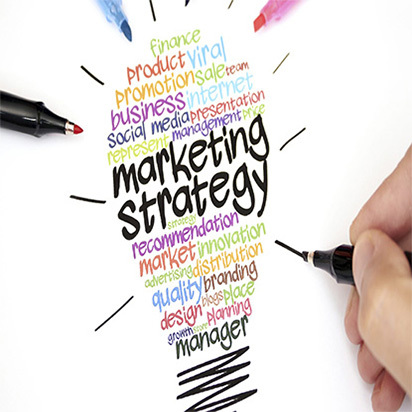 Having a good marketing strategy is imperative for any business. To create such a strategy, you need information about what need your business is fulfilling, who your competitors are, and what your goals are. Depending on this, you will have to make decisions about the product, price, place, promotion and the people. One important part of the promotion element is online marketing. If your business is digital, then that might even be the only marketing strategy you need! Online marketing strategy involves identifying the tools you can use to promote your brand's offerings online. 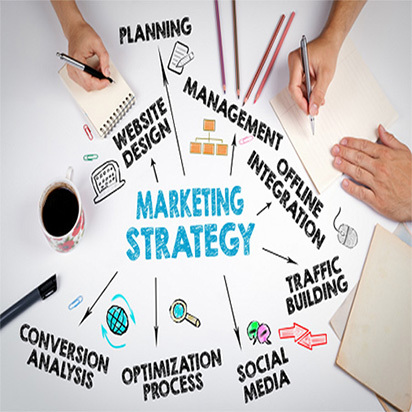 Due to the plethora of options available on the internet, online marketing has a wide range of tools, which means strategy and planning are necessary to take advantage of the options. An online marketing strategy requires the same planning that a regular strategy does.You will need to know the purpose of your business, the competition and people you will serve, and build these together to set goals and targets. Then, you will have to identify strategies that will help you achieve the set targets. Once such strategies are identified, a detailed plan will have to be made giving the optimum mix of available channels and allocating budgets as required. You will have clarity about your business goals and marketing goals. You will know what your ideal customer looks like. You can decide the optimum mix of channels and strategies depending upon your goals and the ideal customer's behaviour. You can know the market and adjust your plans accordingly. You can choose the right metrics for impact measurement. You will know the process of implementing your strategy. The first step in the strategy is design and develop a good website, which provides for a fantastic user experience. Search engine optimization to ensure that your website ranks high in the search engine results page (SERP).Social Media optimization so that all your social accounts work in tandem to drive traffic to your website. Internet advertising - both search and display - and mobile advertising, to ensure that your brand's message, and the products/services you offer have the widest reach possible. Using 'influencers' on popular social media to create awareness about your brand and its offerings. Using email marketing to engage with customers and retain them. Brand-sponsored discounts, coupons, contests and giveaways can really spread the word about you! Design and develop a website optimised for user experience. Set clear business, marketing and online marketing goals. Create a marketing plan with appropriate targets, budgets and implementation ideas. Create a marketing and a content calendar. Use practices like SEO, SMO, email marketing, search and display advertising, mobile advertising. Create and maintain a blog. Develop your email marketing programme. Identify the right influencers for you to leverage. With such strategies, your brand and website will be the talk of the town! This is ideal to build your business and get more clients, customers and lasting connections. Interested? Contact us to know more!